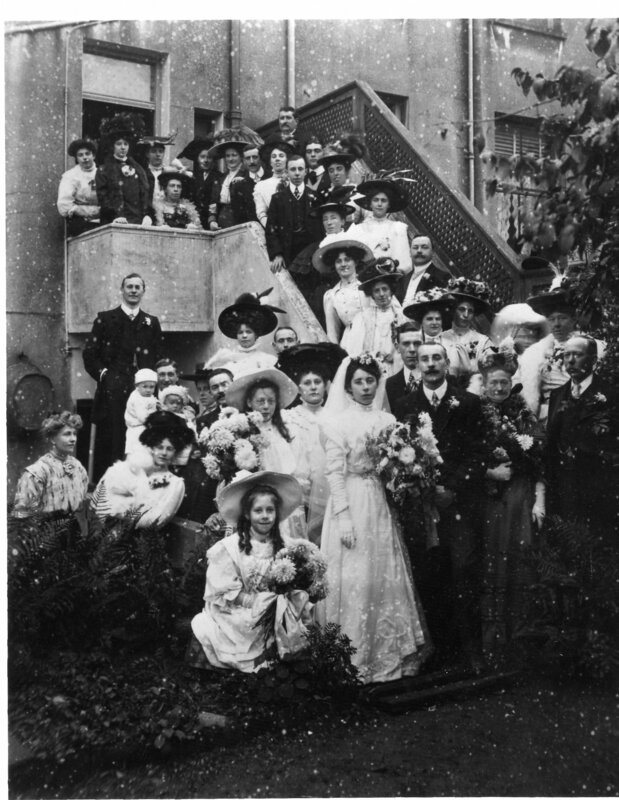 This is a wedding day photo of Sarah Powell & Alan Walter Scott taken in 1908, in Clermont Road, Preston Park. Sarah was the daughter of Robert Powell, who was a provision merchant of Gloucester Road, and Sarah Powell,nee Bishop. I would very much like to know who the other people in this photo are. If anyone has any information I would be grateful . Re: Finding out who the others are. As the family appears to have some significant local standing, you may be lucky and find a newspaper report about that particular wedding. In the early 1900s, it was not uncommon to even find a report in the local newspapers listing which wedding gifts were given by attendees at the event. Thank you Roy for your suggestion. I will follow this up when I can establish the exact date of this wedding. 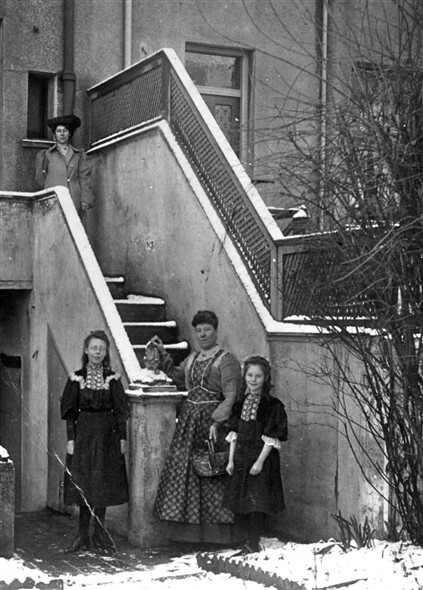 Sarah Powell was my aunt and my father George Robert Powell, born 1888 is the young chap near the top of the steps on the left with his hand on the wall .